Mr Sandhu is a Consultant Orthopaedic Hip Surgeon at Circle Bath Hospital. He was appointed as a Consultant in Orthopaedics and Trauma surgery at the Royal United Hospital, Bath, in 2005. He has a specialist interest in complex hip and lower limb surgery. Mr Sandhu read medicine at Magdalene College, Cambridge and undertook specialist training in Orthopaedics and Trauma surgery in London and the South West of England. During his training he also gained experience at some of the leading centres in North America for Orthopaedics and Trauma, including the world renowned Sunnybrook Hospital, Toronto and Harborview Medical Centre, Seattle. His main interest and area of expertise is in the field of hip surgery. He is an expert at major complex and reconstructive joint replacement procedures. This includes revision surgery for patients referred with either failed or poorly working hip replacements. He has introduced 'trabecular metal technology' to Bath, enabling operations which were not previously possible to be performed. Mr Sandhu is now performing minimally invasive hip operations, which allow a faster rehabilitation and return to activity for his patients. The resulting scar is greatly reduced in size, with the use of specialist instrumentation, compared to a traditional hip replacement. This has proved very successful among patients from an aesthetic point of view. 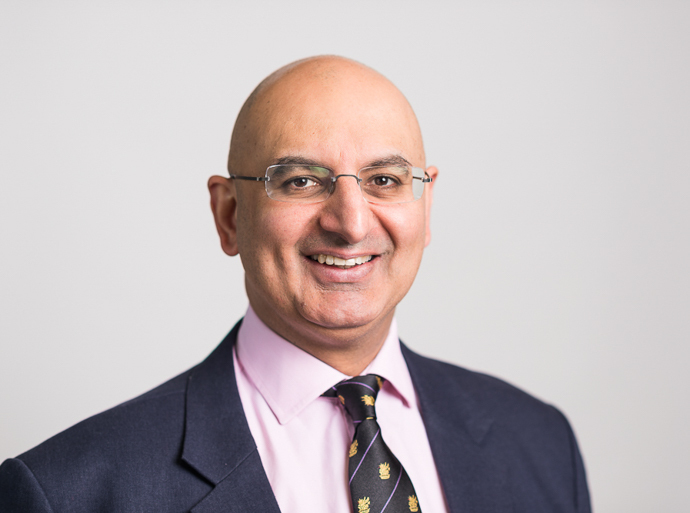 Mr Sandhu performs a wide variety of hip procedures tailored to the individual needs of his patients, from hip conserving surgery to high demand ceramic-on-ceramic hip replacements. This enables his patients to continue with their everyday life and sporting requirements. In keeping up to date with his practice, Mr Sanhu visits various hospitals including the Mayo Clinic in the United States. This is regarded as the foremost hospital in the world, and has introduced techniques from this institution here to Circle Bath. Trauma and emergency fracture orthopaedics are also a major part of Mr Sandhu's work. His knowledge and expertise in this area were gained during his trauma fellowship at Harborview Medical Centre, Seattle, a specialist level one trauma centre in North America. Outside of work, Harvey is a keen cyclist. He and his wife enjoy exploring the countryside of England and France on their bikes. Research and academia are also major interests for Mr Sandhu, who is Head of Research at the Hip Unit in Bath. He has recently published several major clinical articles in highly respected international orthopaedic journals. He also attends and lectures at international orthopaedic conferences. Mr Sandhu finds academia both stimulating and challenging, and most importantly, it enables him to keep up to date in his clinical practice, especially with respect to the latest published research and current evidence-based practice.